Few outdoor gear categories muster as many brands as trail footwear. From weekend jaunt to transcontinental push, your goals are easily supported by solid choices unavailable a dozen years ago. Twelve options in four categories make every step easier this season. 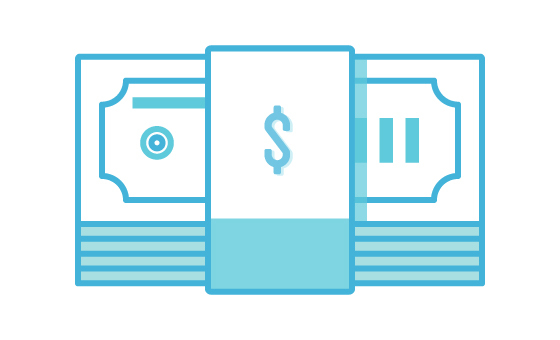 A quick look at three variables gets you on the road (paved or not) to foot-borne success. The Trail & Weather Conditions You Anticipate: Center your options on traction, foot and ankle support along with waterproofing requirements. Rolling dirt trails in El Paso require less technology than off-camber scrambles in the moisture-blessed Cascades. The Weight You’ll Carry Across Your Estimated Distance: Puts the spotlight on the footwear’s load-bearing capacity and comfort. With exceptions noted below, most pairs perform best with packs under 20lbs and under 20 miles a day. 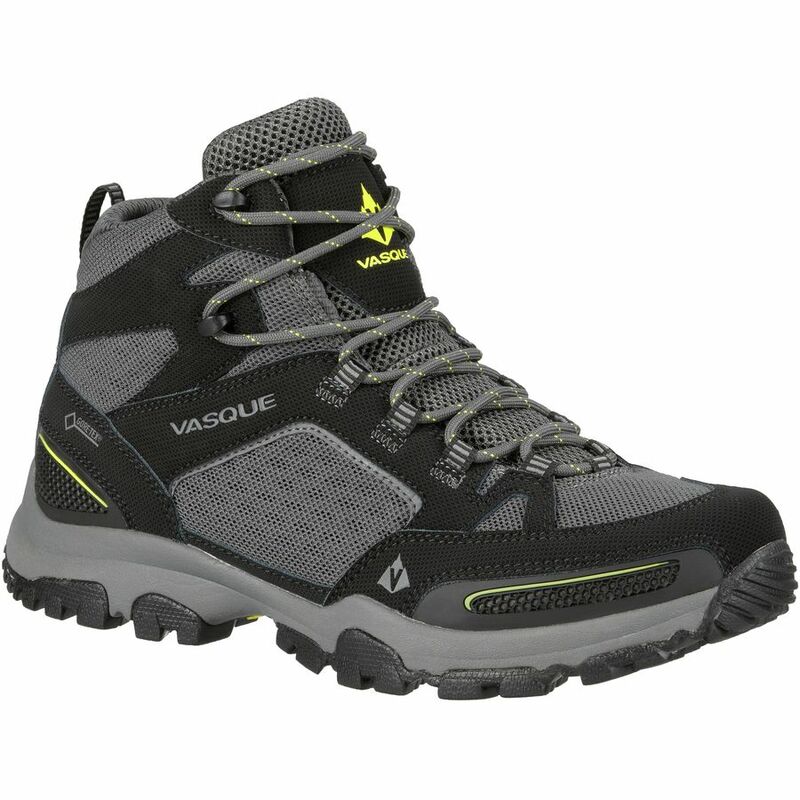 The Flexibility To Hike In Divergent Environments: Means broadening trail, weather, weight and distance ranges. 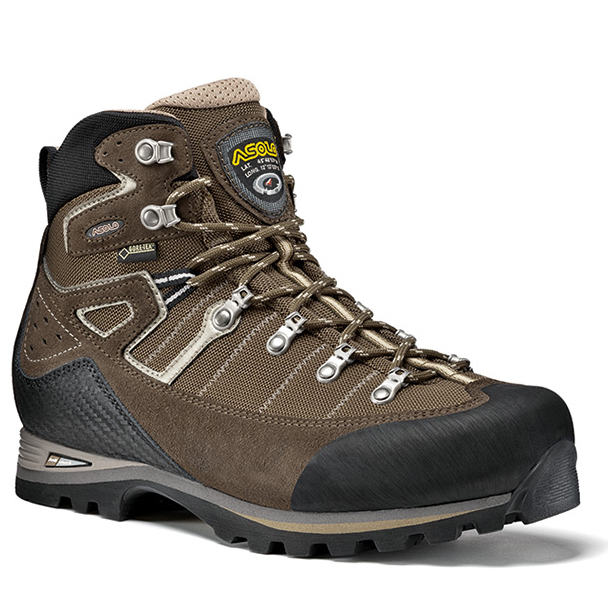 Active Junky team members favor two or more dedicated pairs; starting with a lightweight low hiker and mid-height waterproof boot. Last year, the Durand model took recreational hiking to a better place with Keen’s sharp sense of comfort-based performance. Now, Liberty Ridge rises above less-agile leather boots to earn leadership in the all-around category. Active Junky continues to stand tall with a model equipped to grab, hold and motor through mud and gravel, hard-packed trails and sketchy moments. American-built in Portland, this one carries classic styling along with Keen’s wide-eyed sense of wonder about the natural world. At $200, serious investment is warranted if every day should be amazing; with or without an overnight pack. Pair with the new UNEEK to go from car to boat dock to campsite. A sensible mix of waterproof suede and mesh on the upper, Oregon II hits the trail with solid durability attached to a rubber outsole. 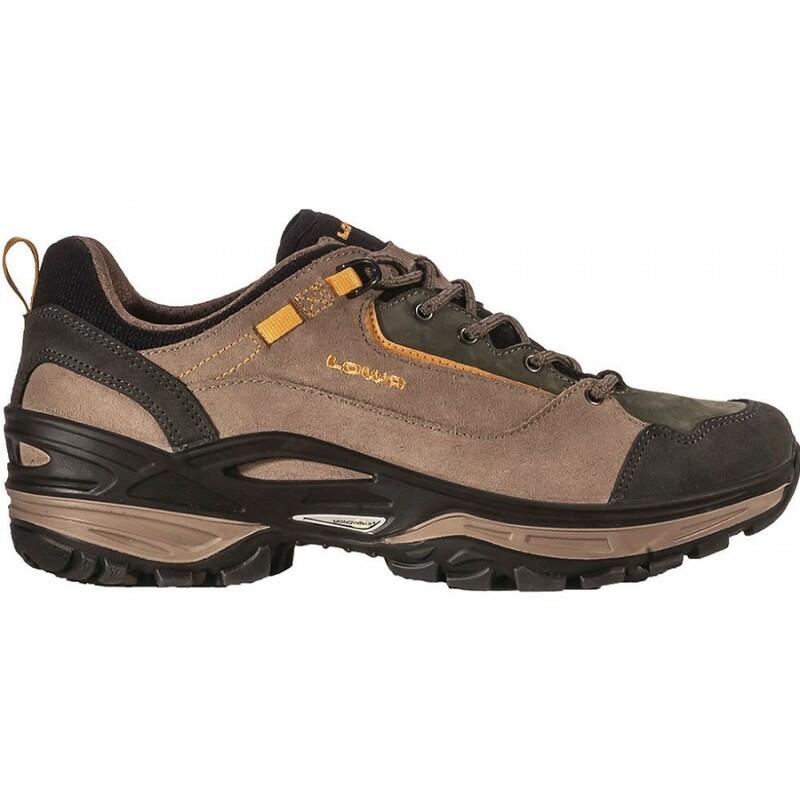 Traction and support are present in these day hikers thanks to a terrain-leveling nylon shank. 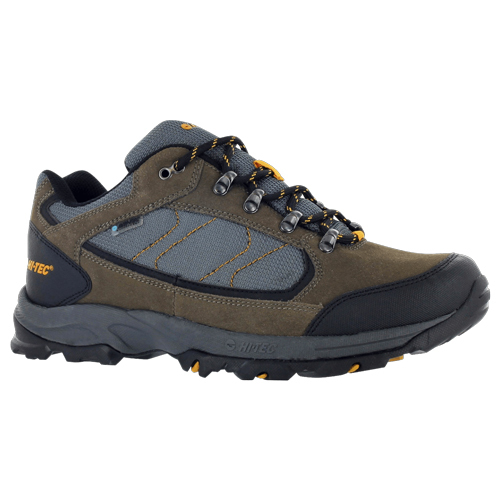 Style and stitching update and upgrade this entry-level shoe’s appeal to a wide range of hikers; a molded EVA footbed keeps comfort coming while lacing adds trail credibility. Trade up from running shoes to Hi-Tec to start your trail life. Active Junky picks this one for its pure athleticism. Runners and those training for life or a big trip benefit from protective cushioning inside a responsive chassis. 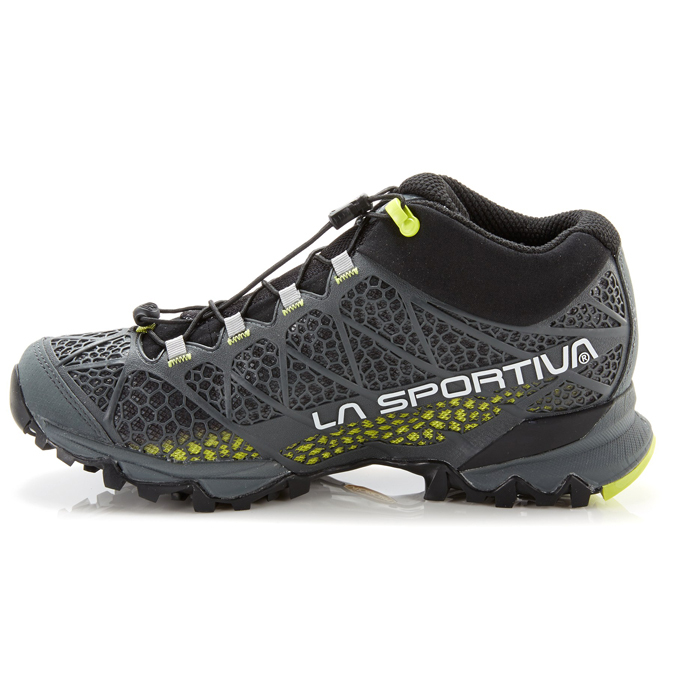 A flowing fit belies the tough, toothy outsole that’s competent in mud, scree and gravel. The bellow tongue repels incursion by dust and dirt as the breathable lining manages moisture. Blaze is pure fun for faster, stronger hikers or those looking to stroll strong in a lighter shoe. Those with questionable ankles or knees should evaluate other Buyer’s Guide options. Active Junky values the brand’s European heritage, one that celebrates the active alpine life. Tempest turns mountaineering DNA into a competent model, newly evolved for 2015. A ¾ length stabilizer delivers rotational strength, reducing foot fatigue while amping up power. Tempest flies with a narrow profile, stay-put lacing and a crud-shedding outsole. Split leather and Cordura uppers pull it all together. 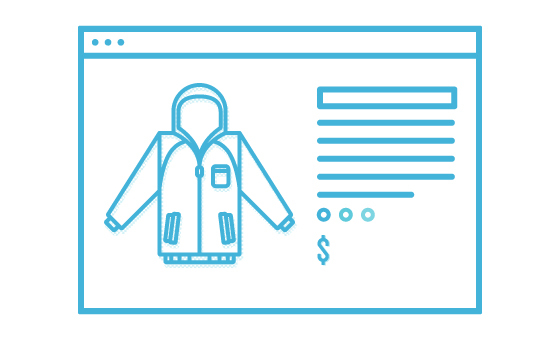 Even if you’ve never worn Lowa before, know it’s worth every Euro. This one wins for the most detailed name – and the ability to take on moderate pack loads while moving fast. Active Junky’s a believer in the Gore-Tex Surround technology to repel all-points exterior moisture while retaining breathability. Stability is impressive in a fast-moving shoe that draws on the brand’s mountain running accomplishments. 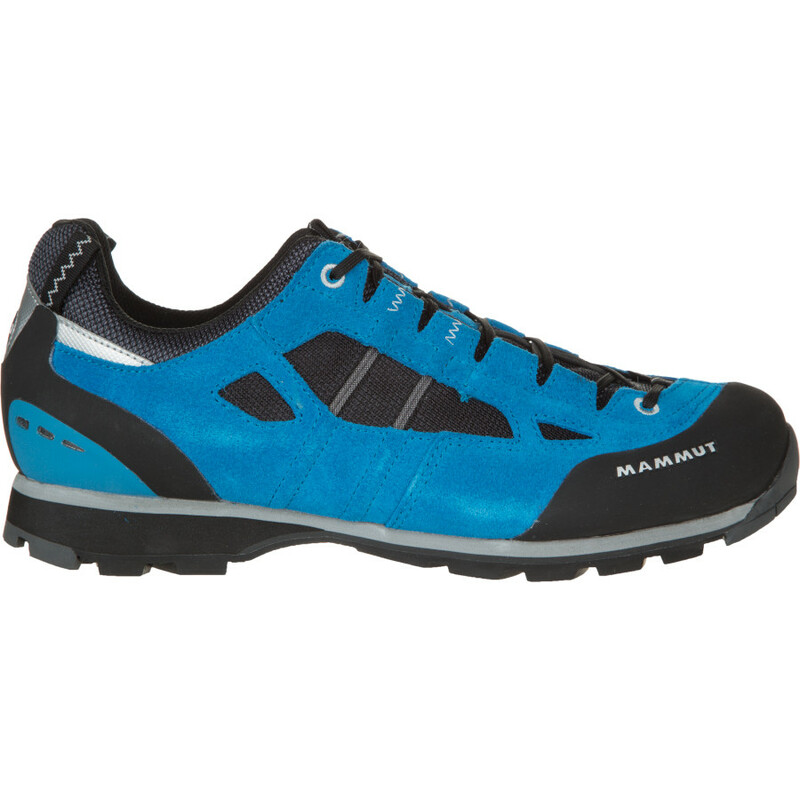 Significantly, Synthesis tempers downhill foot and ankle impact without sacrificing climbing power. This is a beast with enough beauty to wear to and from the trail. 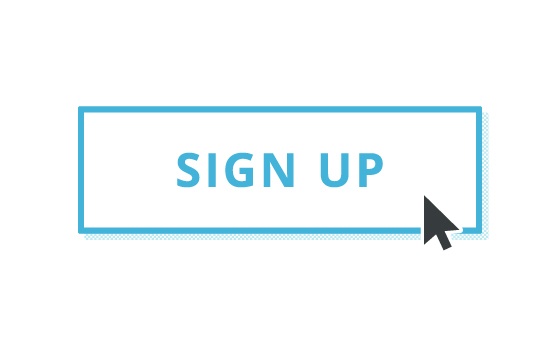 Testers put this model on a pedestal. One they stood atop after clawing up slick rock and narrow ravines to greet a February sunrise. Redburn is tough to categorize, as Mammut’s vertical credentials show up in a sticky rubber outsole harnessed to an Armageddon-ready upper and rubber toecap. This shoe gets serious with exceptional torsion control and comfort-inducing asymmetric lacing. 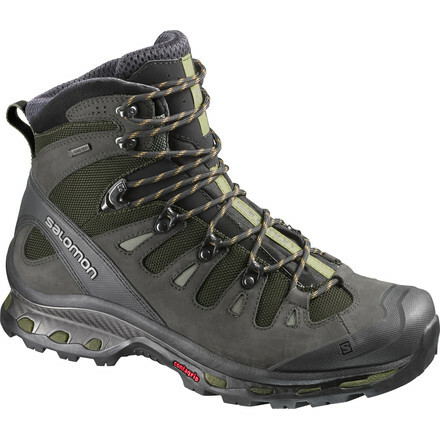 Gore-Tex equipped, Redburn calls out to a subset of hikers; you know who you are. Gore-Tex Surround scores again, this time in a notable new entry from Hanwag. While the brand is fairly new to the U.S. market, Active Junky’s been impressed with the authoritative quality of every model. Here, an aggressive Vibram Cross outsole allows the breathable, sturdy shoe to generate superior traction and power. Hanwag’s added heel shock absorption and poly-laminated heel counter further reinforce Najera’s status on rocky, unsteady trails. Go hard in this armored climber. Active Junky remains confounded by this pair. Light enough to blitz day hikes but clearly competent to pursue near-vertical trails, Trainer bridges the gap between easy striding and 5.6 routes. 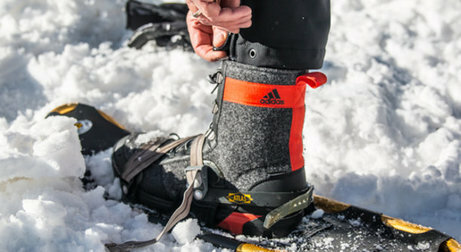 Kevlar in the rand protects toes while Gore-Tex does the job in drizzle, light flakes and dashes across snowmelt streams. A steel cord and nylon lace framework enmesh feet for elevated security as well as power transfer to the Vibram outsole. Walk. Run. Fast-pack with lighter loads. Freedom is your mantra. 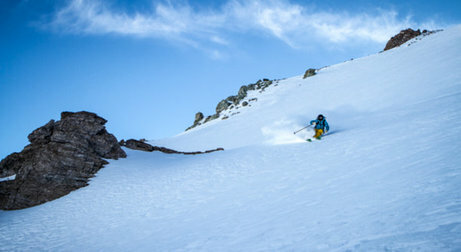 This model, cousin to a hiker Active Junky tested extensively last season in Utah, is the real deal. Lighter and springier than many options, Fastpack charges hard with the dual-density midsole and rock-repelling rigid Snake Plate. Instant fit comes from the synthetic uppers that remain breathable despite a reliable Gore-Tex waterproof membrane. With enough structure to handle moderate weights on multi-day sojourns, Fastpack is an easy choice if leather uppers aren’t essential. Ready for high passes and pubs after, TNF steps forward with confidence. This light-on-any-feet model requires music – or chirping birds – to make it work. The soundtrack of adventure plays on as gravity-defying traction pushes you across rolling and extreme terrain. Active Junky testers chased down a pair of these 872g fast movers with positive results. More similar to high performance European models we’ve tested, Inhaler promotes hot weather superiority; the resilient toe rand, bouncy midsole and easy lacing fit day hiking to extended trekking. Moderate volume makes this model more athletic that others in the Vasque line. 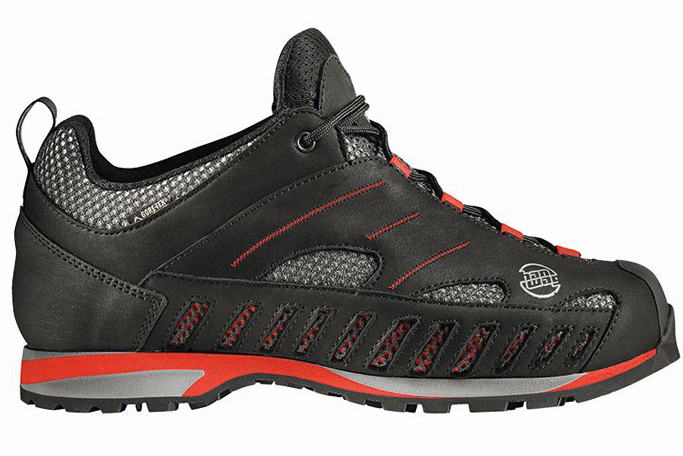 A beefy upper tongue is the only overkill on a streamlined, supportive hiker. Active Junky envisions three-season adventure travel in a panelized build tuned for speed and agility. The Active Junky team includes grizzled packing veterans who grew up with Vasque. Whether you’ve taken 55lbs through the Appalachians or not, trust us to rely upon Eriksson for superior ankle protection when traversing varied terrain. Quite simply, this boot is beautiful and warrants keeping – and resoling – miles down the road. Full-grain waterproof leather measures out at a burly 2.2mm; the big surprise is how quickly this width-optional model conforms to the wearer’s feet. Right now, a test pair is climbing a snowy Fourteener in Colorado, only stopping to hydrate and photograph the expansive views. Bonus: style to triumph above trends. Salomon’s staked a lot on their 4D Advanced Chassis midsole, pivoting a leather and nylon upper and Contragrip outsole off their proprietary design. Our conclusion? They threw their development chips down on a winner, particularly when longer distances over tough terrain are the plan. 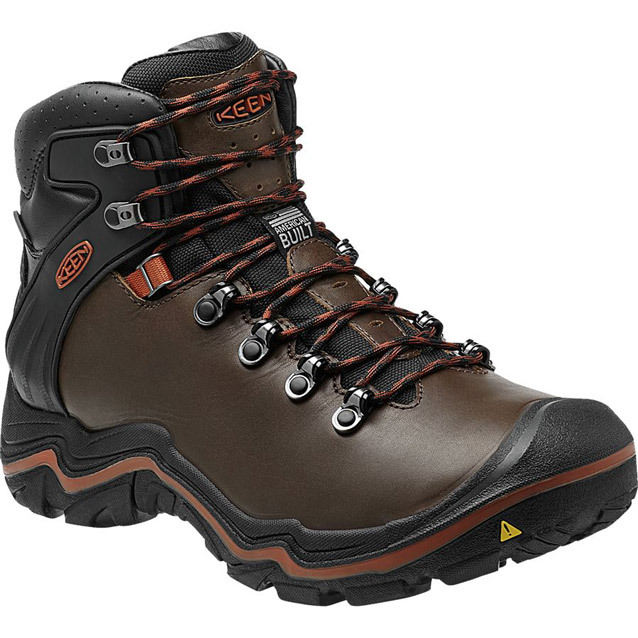 Through-hikers understand the merits of a padded tongue along with the creek-slogging protection of a Gore-Tex XCR laminate lining. Removable, Ortholite footbeds rate high, as do durable laces deployed in a zoned tensioning system that promote personalized fitting. 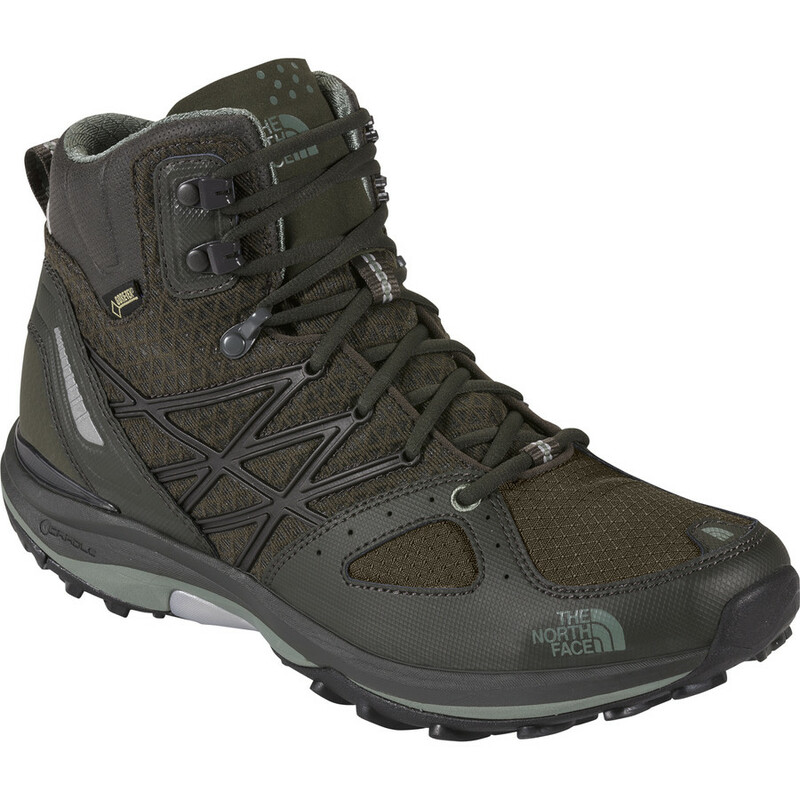 Fast to conform to the wearer’s feet, buy if your route crosses multiple mountain passes, watersheds or state lines. Do – or don’t – be swayed by the Karaj GV’s alpinist attitude. 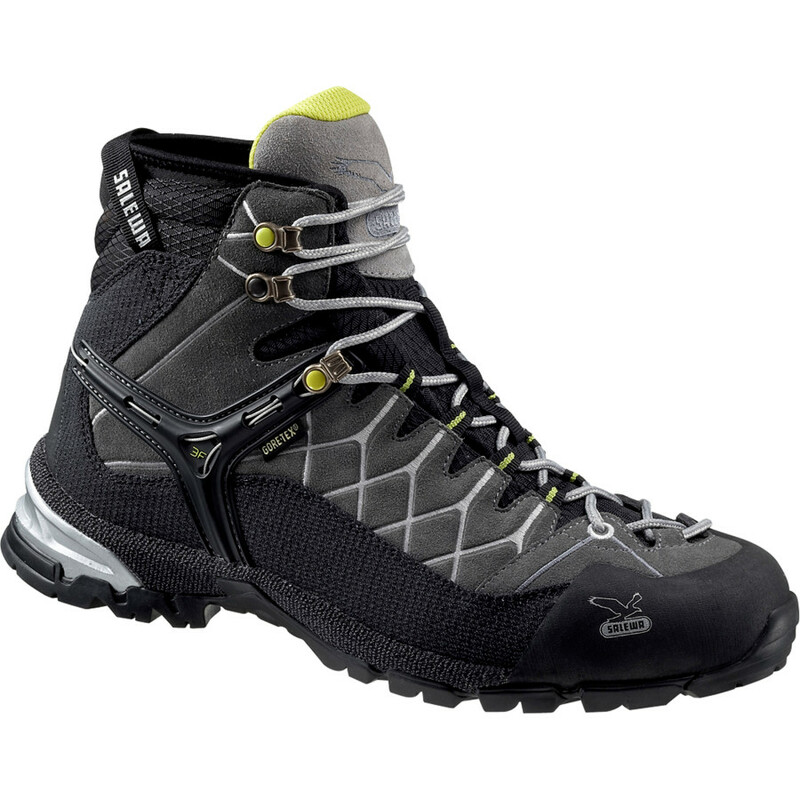 The brand musters climbing and trekking traditions in a model equipped with a high-performing Vibram sole (the grippy variety Asolo adherents have come to expect). Active Junky favors the solid, no-frills suede, nylon and Gore-Tex construction along with a dual-density microporous midsole to dampen downhill impact. Karaja excels in varied terrain where off-camber traverses and plunging descents are navigated in a full pack. 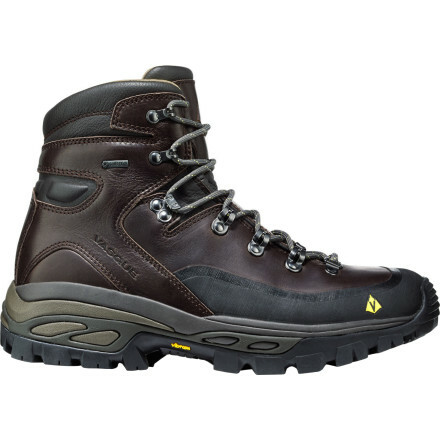 This boot dramatically reduces wear-and-tear on the hiker’s feet, ankles, knees and back. 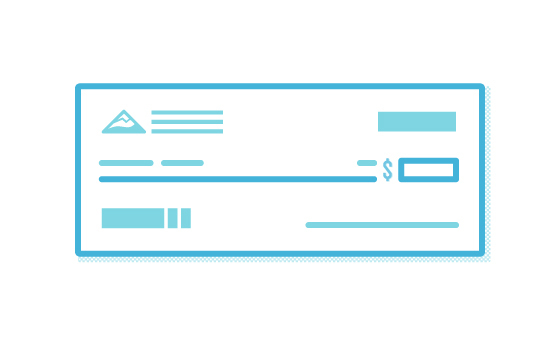 Going long is closer than you think.